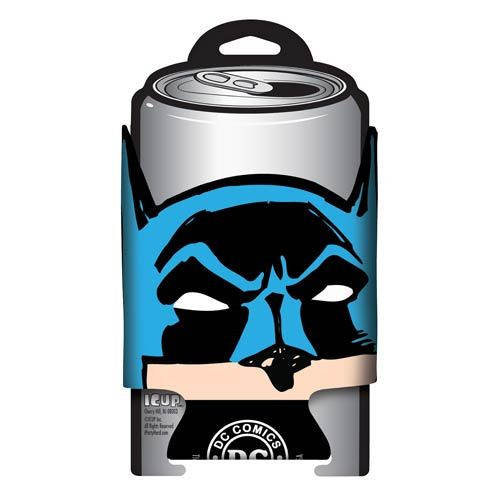 Turn drinking alone time into drinking with Batman time with this great can hugger! The Batman Face DC Comics Can Hugger looks exactly like the title hero of DC Comics' Batman, except that he goes over your can to keep it cool. Shaped exactly like Batman's masked head, it's just like he's right there in the room with you!